The Offshore Voluntary Disclosure Program (OVDP) comes with a large mandatory penalty. This penalty is equal to 27.5% of the highest balance in the taxpayer’s foreign bank accounts, as well as 27.5% of any “non-compliant” assets even if those assets are not required to be reported on a Foreign Bank Account Report (FBAR) FINCEN FORM 114, formerly TD-F 90-22.1. Non-compliant assets are those assets that generated income which should have been, but were not reported on a U.S. tax return. It also includes assets which were acquired with funds on which U.S. tax was avoided. See IRS FAQ No. 35. This can create a very unfair situation where the taxpayer will pay very large penalties under OVDP even though the assets that were required to, but were not reported on an FBAR are relatively small in amount. For example, assume that an individual has a securities account at a Foreign Financial Institution (FFI) such as HSBC India which held $50,000, and also owned undeveloped land worth a total of $2,000,000. If the land was financed, but even a small portion of the down payment came from the HSBC India account then the penalty would be calculated as 27.5% of $2,050,000 or a total of $ 563,750! Has less than $10,000 per year of U.S. source income. Individuals who are currently filing for OVDP are NOT eligible for this exception, nor is anyone who filed for OVDP on or after July 1, 2014. 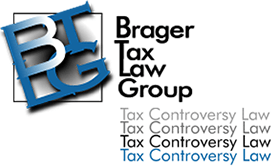 If you are in that situation, you may decide that is in your best interest to opt-out of the OVDP, or perhaps, not to enter the OVDP in the first place; of course, if there is serious criminal tax exposure, not entering the OVDP is probably not a very good option In any event, these decisions should only be made after consultation with an experienced tax litigation attorney. In addition to paying the 27.5 percent penalty, taxpayers entering into the OVDP will be required to file 8 years' worth of amended tax returns. This is the case even though the statute of limitations for assessing FBAR penalties is only 7 years from the original due date of the FBAR. Taxpayers who enter the OVDP are required to file a statement waiving the 6-year statute of limitations on assessing the FBAR penalty. They are also required to waive the statute of limitations on the assessment of additional taxes, which would normally be either three or six years, depending upon the circumstances. On top of the 27 percent OVDP penalty (sometimes referred o as the "in lieu penalty" because it is "in lieu" of the FBAR and fraud penalties), taxpayers entering the OVDP also pay an accuracy-related penalty under Internal Revenue Code Section 6662. The accuracy-related penalty is 20 percent of the tax due. On top of that, interest is paid on both the outstanding tax and the accuracy related penalty. No interest is paid, however, on the 27.5 percent in lieu penalty. The 27.5 percent in lieu penalty jumps to 50 percent if the taxpayer had an account with an FFI (Foreign Financial Institution) that was publicly identified as coopering with a government investigation or being under investigation. The 50 percent also applies if the taxpayer had assistance from a so-called "facilitator" who helped the taxpayer establish or maintain an offshore arrangement if that facilitator has been publicly identified as cooperating with a government investigation or under government investigation. The IRS has a fairly convoluted and not particularly intuitive definition of the phrase "publicly identified". For practical purposes though, taxpayers are generally safe with relying on the list of foreign financial institutions and facilitators published by the IRS here. As of November 8, 2016, that list consisted of 97 foreign financial institutions mostly, but not entirely, located in Switzerland. In addition, the list contains the name of 48 facilitators. The facilitators list is effective for pre-clearance letters that are submitted to the Internal Revenue Service's Criminal Investigation division on or after November 15, 2016.